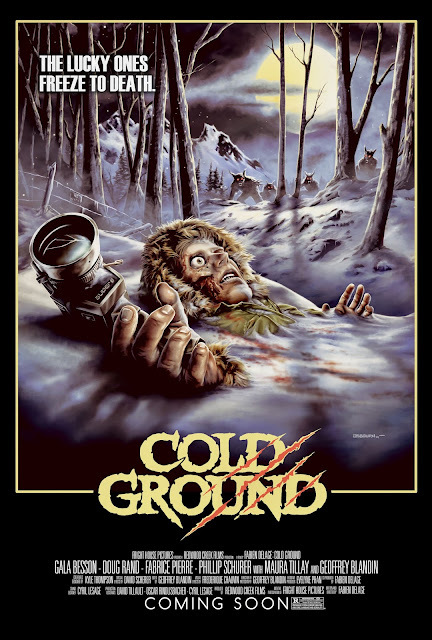 French Retro Horror movie COLD GROUND by Fabien Delage (Dead Crossroads, Fury of the Demon) is about to give you the shivers! 1976: Two young journalists leave for the French-Swiss border to investigate a strange case of cattle mutilations for French TV. Yet, once they get there, the scientific team they were supposed to meet has gone missing. Be sure to watch it in a festival near you while waiting for the North American release with Wild Eye Releasing in 2018. Below you can check out the official trailer. Follow COLD GROUND on Facebook and Instagram and Twitter.